Kickstart Concepts has done a lot of work for FanBridge, a provider of fan relationship management software for bands and musicians. So when they had a last minute request for a magazine ad that they needed yesterday, we were happy to help. 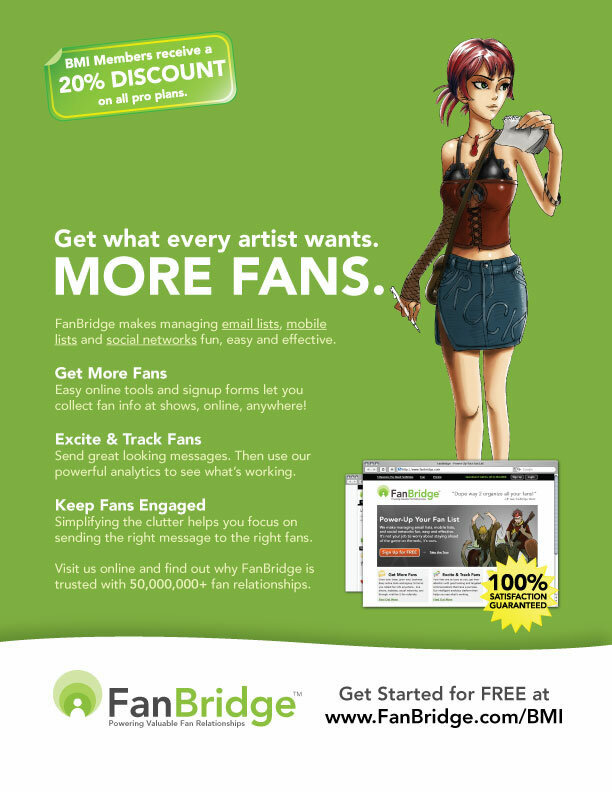 Delivered in several different sizes, this ad ran in a leading music industry publication, promoting FanBridge as the best way to help bands get what they all want: more fans.